First picnic table completed and sign at the entrance. One more sign, two more tables, remove temporary bracing and general clean up and the area will be ready for use (not 100% but close). Target date to begin using will be September 1st, 2015. 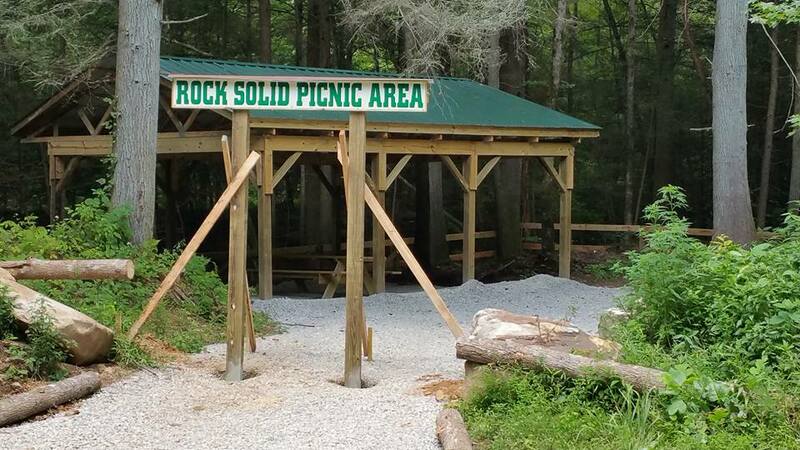 Check out some submitted photos on the continuing progress of the Rock Solid Picnic Area Project inside of Windrock Park. 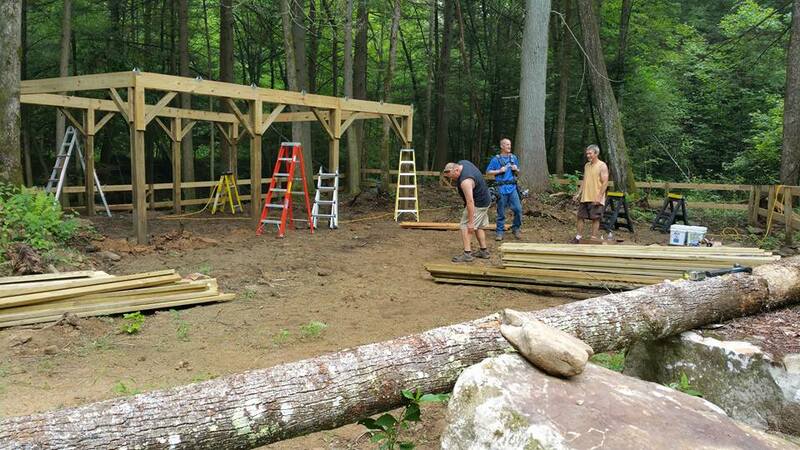 Rock Solid Jeep Club has constructed a perimeter fence up and erected the basic structure of the new pavilion inside of Windrock Park as part of an SFWDA Grant Project Award Recipient. Windrock Park has just announced their new development: Windrock Hollow! Windrock Hollow is the new home of all things "events" at Windrock Park. Windrock Hollow is located on Hoskins Gap Road, just a short distance from the main Trailhead! 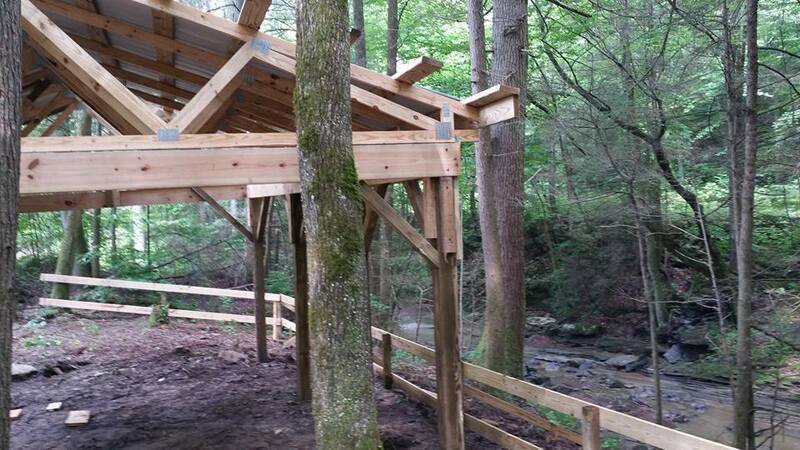 This Trail Conditions Facebook page is moderated by the Trail Maintenance Supervisor at Windrock. for the sole purpose to discuss Trail Conditions and to report problems. What’s Happening at Windrock Park? A big thanks to all who came out and represented Southern this weekend at Windrock park. SFWDA was well represented this weekend with a variety of clubs and members supporting the cleanup events. Some of those noteworthy SFWDA clubs include, Knox Off-Road, ET4WD, and Rattle Rock, just to name a few. Despite the rainy day and wet trails die hard Trail riders were present to represent and get the job done. Windrock Park is organizing a Clean Up Day! Anyone and everyone is invited to come out and participate-no matter what you drive! All DRIVERS must have a valid Land Use Permit. If you want to bring to a passenger along to help you with the clean up, the passenger must sign for a permit, but will receive it for free for that day only. Trash bags will be provided. If you have some other apparatus that will help you, you are welcome to bring it along! Starting point will begin at the Lower Shed at the Trailhead (across from the General Store). Each vehicle will be assigned a partner vehicle, or you can pair up with someone. Trails will be assigned to each pair and long trails will be broken down into sections. We will meet back at the starting point at 2pm with all of the trash collected. After that, you are welcome to go wheel some more!